What is BMW ITool Radar? 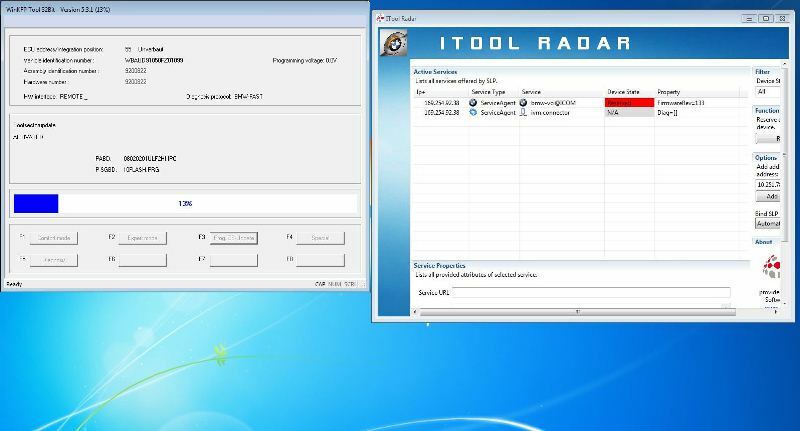 BMW ITool Radar is factory BMW Group software,and part of BMW Standard Tool that use to check the status of you BMW ICOM,GT1 or OPPS..
Reserved/Not reserved, I.P address, Serial Number, MAC address, ICOM Firmware, also to be used with INPA and E-SYS as the ICOM must be reserved in order to be used with these tools. Installation directory must be c:\program files just copy the directory to here. Also make sure Java is installed and updated. 3Run IToolRadar.exe to start the program (accept any firewall warning messages). People also need the BMW WinKFP software,and other related software to BMW ITool Radar.Here I put the link below,if you need,read the article to download software you want.